Stately 1912 Arts and Crafts Manor accurately restored to it's original elegance.Granite & Cedar shake exterior with a gorgeous deep verandah and 2 balconies overlook spectacular architechturally landscaped gardens. Exquisite stained & leaded glass windows, coffered ceilings, Oak hardwood with intricate inlay enhance this showpiece. Spacious pricipal rooms with 4 bdrm up and a large 1 bdrm suite down, RT-8 Zoning[Duplex]. This magnificent corner property, in an extremely quiet & prvate setting, allows for an abundance of natural light. 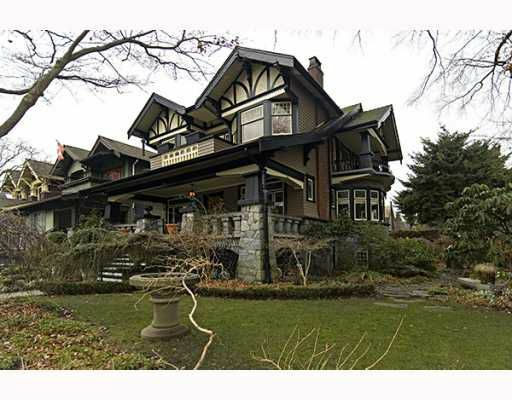 Only 2 blocks from Jericho Beach, Royal Vancouver Yacht Club & Jericho Tennis Club. Call today for a copy of Floorplan, Video Tour & schedule your private viewing of this incredible home.